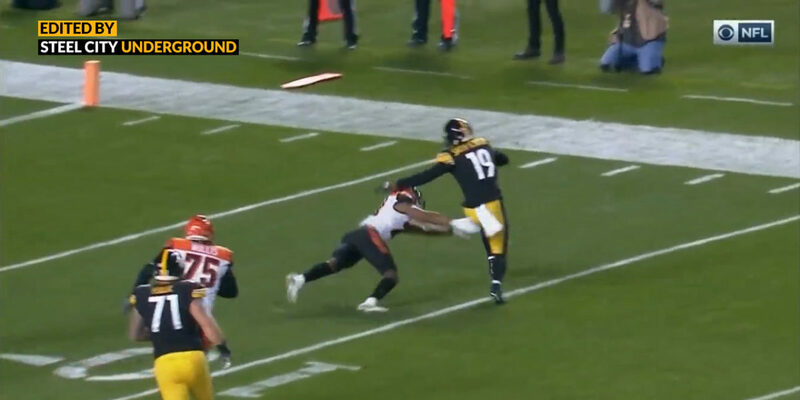 In a primetime game that would get a little crazy, Pittsburgh Steelers rookie safety Terrell Edmunds came up big early in the game. Edmunds entered this Sunday Night Football contest with one interception, three passes defensed, two quarterback hits, one fumble recovery and 47 combined tackles in 11 games (ten starts). In the first quarter, after the Steelers put seven points on the scoreboard, Philip Rivers lined up his offense for its second series. On 2nd-and-10, Rivers chose to call an option and Edmunds took advantage. 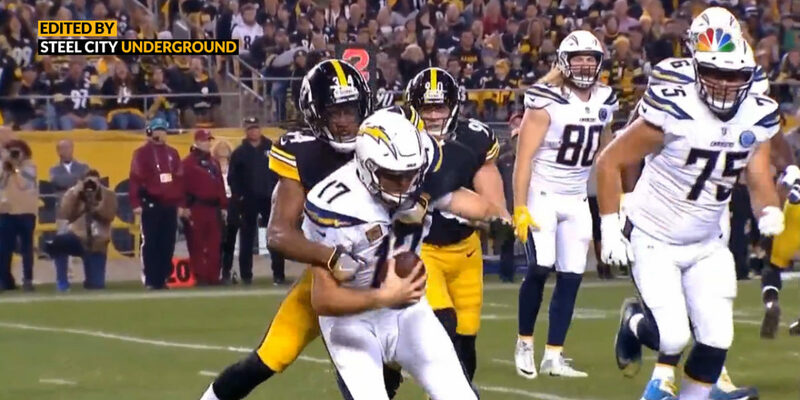 Edmunds, lined up just beyond Bud Dupree, entered the Chargers' offensive backfield on a delayed blitz as Dupree and T.J. Watt took the offensive tackles out of the play. On Rivers' blind side, Edmunds shot into the gap like a bullet at the exposed Chargers quarterback, wrapped his arms around him and smothered him to the turf. What made the play special was that the rookie safety visualized the running back exiting the backfield and recognized that Rivers was not handing the ball off. It allowed him to close quickly and force the Chargers to punt two plays later. The Steelers would take advantage by scoring their second touchdown of the game. The sack was an NFL-first for Edmunds.